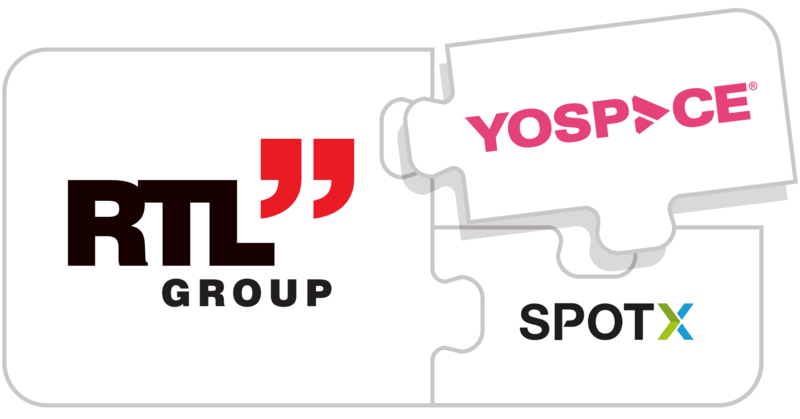 On 8th January RTL Group announced it was acquiring 100% of Yospace Technologies Ltd. The announcement represents a huge endorsement of Yospace, our people and the server-side ad insertion technology we have developed. Having launched VoD server-side ad insertion in 2011, Yospace was first to market with server-side ad insertion (SSAI) for live streaming at the start of 2012, showcasing it in partnership with ITV at the 2012 IBC Innovation Awards. Since that time the team has focused exclusively on development and innovation in the SSAI space. This has been with a focus on solving broadcaster challenges while maintaining a TV-like viewer experience. Today we are the world’s leading provider of one-to-one addressable SSAI and stream management. This is an achievement we are hugely proud of. We are also immensely proud of building a profitable market-leading business organically, while maintaining the independence required to have such a laser-sharp focus on the long-term development of our product. As such we were fortunate to be in a position where we could carefully consider an acquisition that best suited the future ambitions of the team, primary of which is to continue to innovate with our loyal existing broadcast customer base while accelerating global adoption of our capabilities. The key principles of our technology road map since 2011 have been based on understanding the close integrations with broadcast playout systems and the end-to-end streaming workflows needed to deliver a true broadcast experience, and a willingness to adapt to the evolving and often complex needs of broadcasters. Challenges such as achieving one-to-one addressability at true broadcast scale, while delivering real-time metrics reliably and supporting enhanced viewer experiences have all been addressed. As the market continues to mature and advertiser expectations increase, the ability to deliver a truly optimised standards-based programmatic SSAI solution will become increasingly critical. To this end, the opportunity to work more closely with SpotX, who we’ve been a partner with for a number of years, will be of huge benefit to Yospace and to the wider industry, as the learnings we will gain will optimise integration with the entire programmatic and SSAI ecosystem. As SpotX remains committed to all its existing SSAI partnerships, Yospace remains ad server and ad-tech agnostic. Our independent stance and freedom to work with providers across the broadcast and advertising ecosystems are crucial, and this is recognised by SpotX and the RTL Group. Our aim, as it has always been, is to provide the world’s leading server-side ad insertion platform and establish our technology as the de facto standard for the industry. We will continue to serve all of our existing customers, without whom we would not have achieved the market position we are so proud of today, and to whom we remain fully committed. This focus will in turn allow us to accelerate further the expansion of our global customer base. Ultimately our decision to join RTL Group was an easy one. The Group has bought into our strategy and is fully committed to supporting both our product roadmap and our expansion plans. Whether you are an existing customer or a customer-to-be, we’re looking forward to working with you.